Following on from my article about wagon loads, I decided to see if I could make my own sheet steel loads for flatcars. 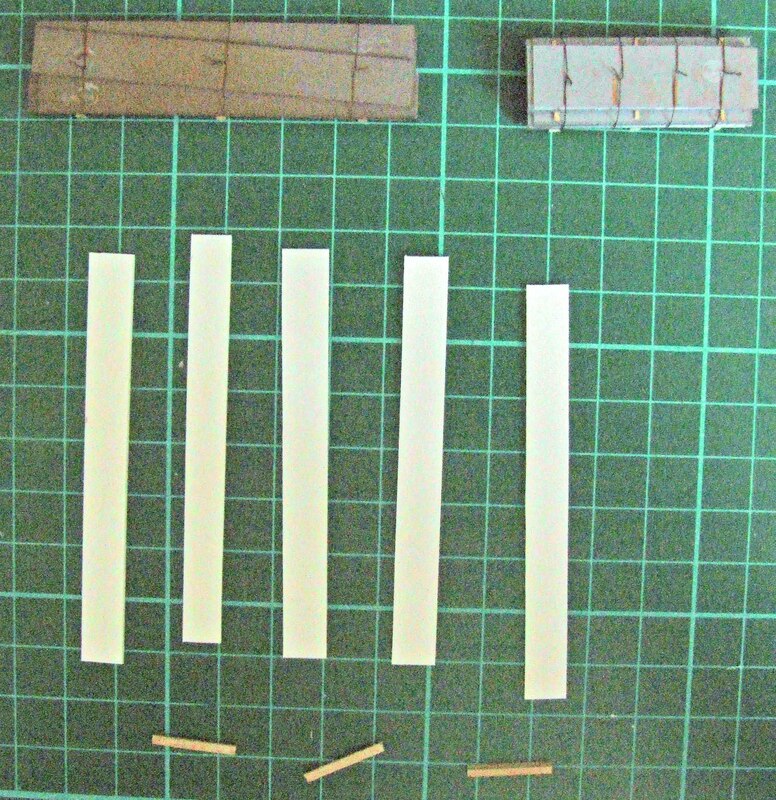 The components are very simple – some 20 thou and 40 thou plasticard; 1mm square and 1mm x 20 thou balsa (or similar e.g. 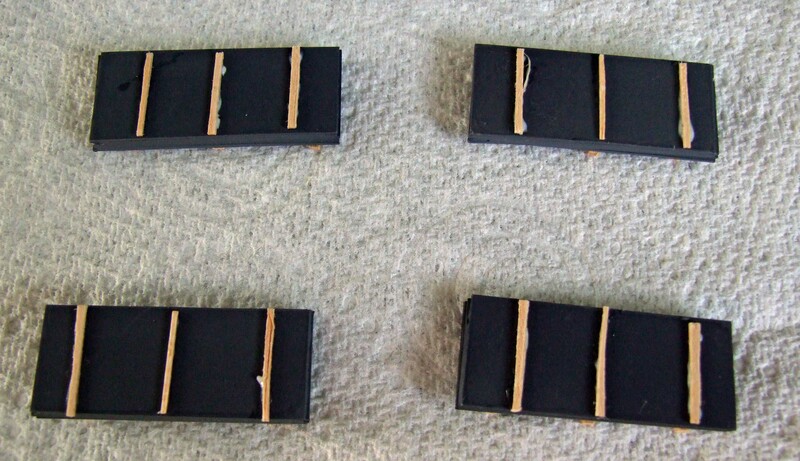 plasticard painted wood), very fine fuse wire or similar and glue/paint. The aim is to make 2 different types of load – 2 short loads using the 20 thou plasticard for a 60ft flat car; and 1 long load using the 40 thou plasticard for a 50ft flat car. Obviously these lengths can be altered to suit the type of freight car you are going to use for the loads. The short loads consist of 6 pieces of 20 thou plasticard cut to 16mm x 40mm, and then laminated together (slightly overlapping some of the sheets); and 4 sheets of 7mm x 40mm again laminated. These can then be sprayed with grey primer and set aside to dry. The long loads consist of 4 pieces of 40 thou plasticard 8mm x 72mm; and one piece 8mm x 69mm. Two of these are laminated together, and the 2 pairs are laid side by side and the slightly shorter piece is then glued on top at a slight angle. These can then also be sprayed with grey primer and set aside to dry. To try and give a ‘steel-looking’ appearance, I then sprayed the top of the sheets with Humbrol steel metalcote, which hasn’t turned out the way I hoped, but it is passable. The small pieces of wood are then glued between the layers and the sheets glued together as can be seen in the photo on the right. I then spray painted some 5 amp fusewire, cut lengths to size and then superglued them around the plates to look like fastening wires. A final dusting with grey and light rust weathering powders finished them off.